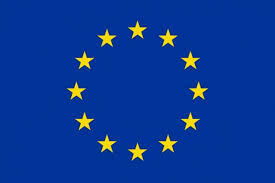 In May of 2018, the European Union enacted a regulation to protect the privacy and security of European website users. These standards primarily deal with how users’ data is gathered and cared for. And complying with these new regulations does require some additional website features that are not required here in the United States. You check find the almost-official list of key changes or the longer-but-official list to see how you would have to protect your customers’ data. The WordPress development community has tried to facilitate this, and so current versions of the core WordPress code base include basic options. And there are additional ways WordPress can be extended to make it easier to manage your customers’ data. So do I need it or not? So we could rephrase our original question this way: is the additional work required to safely connect with European customers worth the return you expect they would bring you? If your company needs to know the penalty at stake, it is 4% of total annual global turnover (though this could change). And depending on your approach to Google Analytics, you may have additional reasons to strengthen your approach to customer data collection and processing. If you plan to use both Google Analytics advanced demographics and have European customers, make sure you check out Google’s requirements for combining the two. Uh oh, I may need it. Now what? Your website is only one part of your overall data protection plan, but we’d be glad to talk with you about the part your website could play.